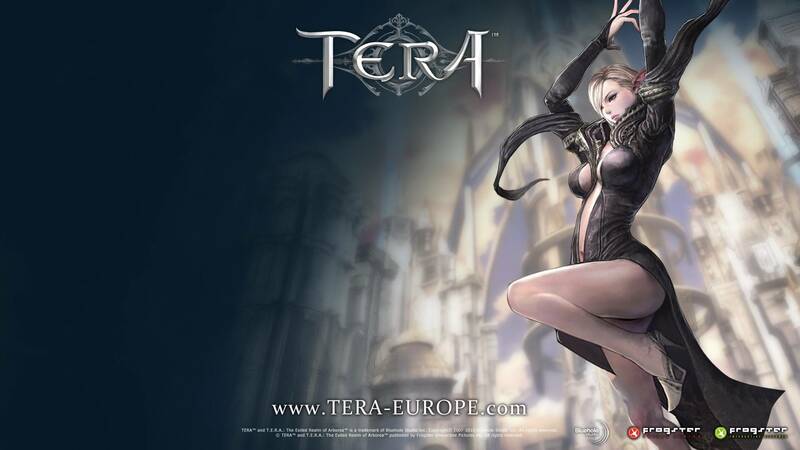 TERA is a new breed of Mass Multiplayer Online(MMO) that takes the fight beyond whack-a-mole monotony with modified aiming, dodging, and tactical timing to create intense and rewarding combat. It has several choices of control, let it be mouse, keyboard or PC-compatible console controller. 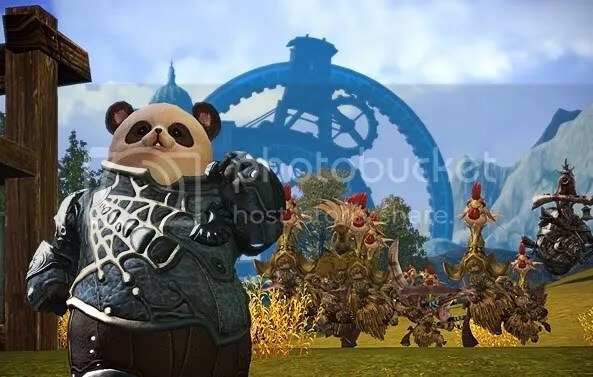 It is also a faction-free world where all players can impact the community as well as the social, political and economic structures of TERA. Picking a class in TERA as each class is unique and plays differently from any other class. All races can play any classes. 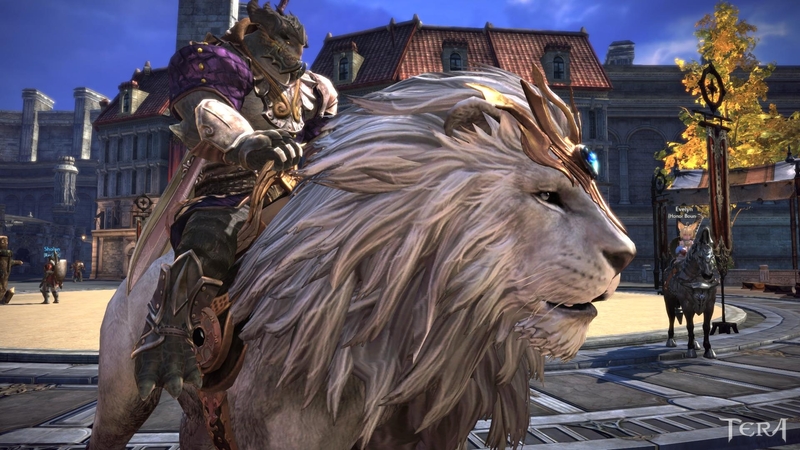 The Lancer is considered as tanker in TERA due to its heavy armor and used lance and shield as their main weapon, They have the highest defense stat in the game. The downside of the Lancer is slow in combat, relies on charges to move more quickly while engaged in battle. A Lancer’s job is keep agro on monsters and actively blocking their attacks. It is considered as the easier tank compared to the other tank. Warrior is another tanker in the game that plays its part in the game. They are the fastest in the movement speed compared to the other classes, it also has highest HP pool. The downside is they have fragile armor. They are evasion tank that actively utilize their flip, attacks with invincibility frames, and shout to avoid and interrupt bosses as they hold agro with cries and moderate damage output. Warriors are one of the most difficult classes in TERA as they need a lot of fleeing and voiding causing the player to have high movement in order to play this class well. They are able to run circles around enemies and avoiding all attacks. Priest is a healing class with buffing abilities that falls under supports. They are the healers and focused on buffing allies and keep everyone at full health. They also have the ability to resurrect should things didn’t turn up well. No downtime when soloing makes them one of the easiest solo classes in game. They are the main character during boss fights or some other group activities, they can be quite difficult as they need to maintain health of a team of people. Another support class would be The Mystic, which is hybrid class that performs things like buff, off-heal, resurrect, crowd control and can off tank by using their pets. The downside of Mystic is they have low HP pool and low defenses. They also have lowest damage output in the game. It is a very difficult character to play and be good at it. Their main job is to keep the group fighting shape by topping off HP and MP, buffing, and smoothing out fights by dispelling monsters buffs and crowd control. This is the most difficult class in game. The Slayer is a damage class. They are the melee DPS class in TERA. The Slayer is deft in combat, and can move quickly through enemy formations by stringing together combo attacks and utilizing their roll. Their medium armor made them frail while engaged in combat. AoE damage is their main weapon, far reaching whirling arc attacks emphasizes that focus. They are not good in solo because lack of self-healing ability and low defenses. Berserker is another melee DPS hero that involves pseudo crowd control. With many slow, heavy hitting attacks equipped, they can wreak havoc on large numbers of enemies and single monsters alike. The Berserker shares the distinction of being the slowest moving class in the game. They mainly focused on knocking enemies over and causing heavy damage to large number of monsters. Slow movement speed is the downside of Berserker. The Archer is a single-target DPS class with limited crowd control abilities. They have very high damage output in a short periods of time. Medium armor with second highest defense stat in game made them a good choice. Archers mainly focus on doing high amounts of damage very quickly to monsters. Overall, they are easy to play in game both solo and group setting. They are able to keep their distance and put big damage on monsters with very little chance if harm coming to their low HP pool. The Sorcerer is a glass cannon DPS class. High damage output spread out evenly among their skills makes them most consistent DPS class in game. The downside is they have the lowest defense rate. They have the ability to keep their distance and dealt damage from far therefore it is still not too difficult to play if you are not too aggressive. So both TERA (NA & EU) decided to go FTP, I am sure that there are lots of new players coming in to the game. Disclaimer: This is all information that I have acquired from my own experience and from browsing various official and unofficial TERA websites over the past year or more. Some information may be incorrect. This is meant only as a guideline to help choose what class and race might be right for you! This is obviously one of the major things that goes through everyone’s heads – especially when first looking into this and any other game! From game to game there are many deciding factors that determine what race and class we choose. Anywhere from a certain race/class combo being better than another, to the class being what an individual has played for years, and even for pure aesthetic reasons. 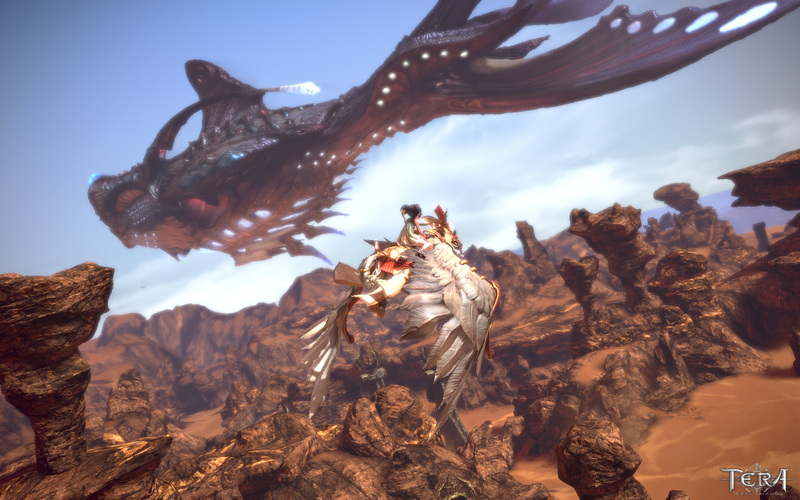 In TERA, for a serious gamer, there are many different ways to look at the races and classes of TERA, and the various differences between races makes it harder for some people. The same goes for classes; without an Assassin/Stealth class, some people are at a lot as to what they should play. And this is what I’m here for. I’m here to give you an in-depth look at the races and classes of TERA, and give you information you should take into consideration when you are choosing a race and class. Let’s start off with classes; this is the slightly less complex of the two subjects. 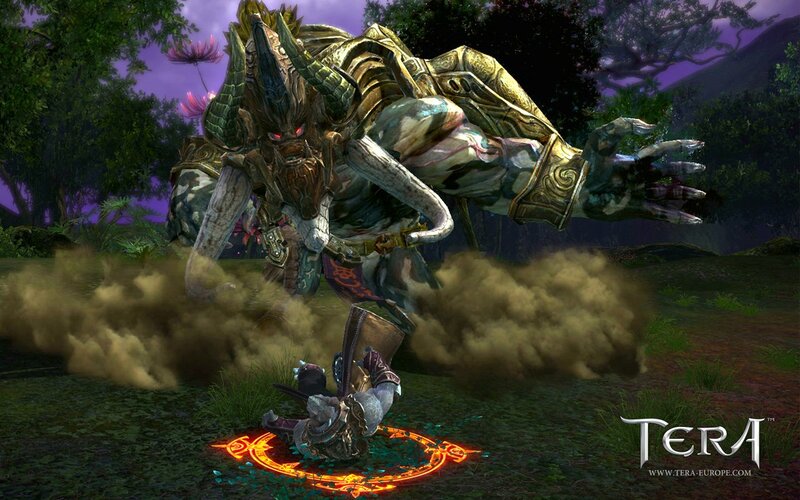 There are eight classes in TERA, which can be divided into four categories; Tank, Melee DPS, Support, and Ranged DPS. The first thing I would like to mention to you is damage in TERA. Each class has a damage rating, and a weapon damage rating. There is no distinction between physical damage and magical damage; meaning damage is damage, and you will not need to build a magic resist set like you would in some games. There are resistance stats in TERA, but they cover things such as critical hits, sleep, snare, and knock downs. It is also worth mentioning that almost every class has the skill known as “Backstep”, but the animation is different for each class andrace. Backstep is the primary dodge skill for all classes who have it. The only classes who do not have Backstep are Priest (replaced by their self-heal) and Mystics. Let’s start off with the tanks, shall we? Lancers are the primary tanks in TERA, though as with primary tanks in most games, they are far and few between. They wield a large shield and lance, wear heavy armor, and have the second highest HP pool out of all eight classes. Their damage rating is the third lowest (Priest and Mystic having the lowest damage rating), but this is off-set by their survivability. And of course, they have an AoE taunt. Lancers are not only sturdy, but one of their skills blocks 100% of all damage taken from the front and, partially, the sides. In general, DPS classes will attempt to skirt around behind the Lancer, but a good Lancer can simply re-position his or her shield block. Lancers also have a self-heal, which obviously can be a life saver. This class also has an excellent technique for getting away (or catching up), which is their forward-charging dash. This skill seems to have a high knock-down rate when it hits, but it is also worth mentioning that this skill causes the Lancer to run faster than mounted players as well. So if someone mounts up to try and get away, the Lancer can chase them down and knock them off their horse. Alternatively, they can use it to get away, or to catch up to ranged classes. Warrior is the second and last tank in TERA. Warrior’s wield duel swords, wear light armor, and have the highest HP pool and movement speed out of all eight classes. Furthermore, Warrior attacks are an arc – meaning they are not purely single-target characters. If you and your buddy are in the path of the swinging swords, you will both get hit, instead of just one of you. Warrior’s damage rating is higher than a Lancer, making them third lowest; they are positioned between Sorcerer (lower) and Slayer (higher) on the damage rating. 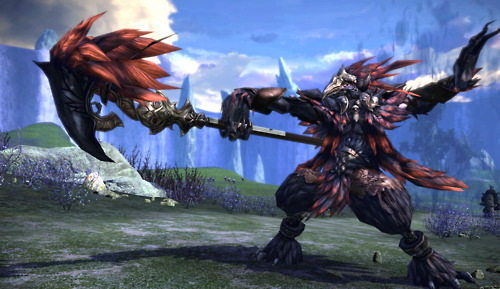 Warriors are classified as the evasion tanks of TERA. They have fewer taunt options than a Lancer, but their higher DPS, as well as an AoE stun, make them a viable option as a tank. Warriors are a similar play style to rogues and assassins in other MMO’s, but lack the stealth feature. Stealth is a skill that the TERA developers did not want to add to the game for any of the classes, as it is too game-breaking in PvP. Warriors have a great technique for getting away or catching up to someone, although I personally do not believe it is as good as a Lancer’s. Warrior’s dodge is a great way to get away or chase someone; the simple flaw with this is the animation is different for each race. While a Castanic Female Warrior’s dodge is a fancy leap (which can leap over attacks), other races must suffice with a roll or somersault. Because of this, the majority of Warriors are generally Female Castanics; the smaller hitbox of the female Castanic also plays a role in this, as Warriors are a tank that shouldn’t be getting hit by what they are fighting. From here, let’s discuss the Melee DPS classes. Berserker is the first Melee DPS class I will cover. Berserker’s wield giant axes, wear heavy armor and have the highest weapon damagerating; tied with an Archer. Their damage rating is second only to Archer. Their crit rate is highest; tied with Slayers. Berserkers for some time were mistaken as a third possible tank, due to the fact that they also wear plate armor. This however is certainly not the case, although if pressed a Berserker can tank, it is not a viable options. Berserkers are meant to attack from behind along with the other DPS classes. Despite their heavy armor, they can be blown up pretty quickly whether it’s by a monster or by another player. Berserkers are the slowest Melee DPS class, with an attack speed of 0.7 which is matched only by Sorcerer. Despite this slow attack speed, Berserkers can crank out a great deal of damage, with their high damage and weapon damage ratings. Their range is only a short three meters, but this is offset by the splash damage effect of their skills, and the spin of their charge-up technique. Berserkers have become notorious for their ability to one-shot almost every other class, which obviously appeals greatly to many players. Berserkers are quite possibly one of very few classes that can give a Lancer a difficult time, seeing as their heavy armor mitigates much of a Lancer’s already poor DPS, as well as their ability to hit extremely hard. The splash damage of a Berserker is slightly less than the damage dealt by a full-on hit, but is still absolutely devastating if it crits. As an Archer I personally fought against a Berserker in a 5v5 fight, and was one-shot by the splash damage of a Berserker. This damage hit me for 16,000 which is four thousand HP over what my health would have been if I were at full health. Those who were in the direct path of his hit and were also crit were hit for nearly 20,000 if not higher depending on their armor type. Slayers are the second and last Melee DPS class of TERA. Slayer’s wield giant swords, wear light armor, and have the third highest damage rating. They are tied for highest critical hit rate with Berserkers. They also have the second-highest weapon damage rating! Slayers were also for some time thought to be a viable option for tanking in TERA, but lack of a proper taunt means they must out-damage the rest of their group while also attempting to dodge the majority of incoming attacks. Due to the complexity of tanking as a Slayer, and their squishiness, they are not a viable option as a tank. As with Berserker and the Ranged DPS classes, they are meant to flank their enemies and attack from behind or the sides where they will hopefully not be hit. Slayer’s are in the mid-range of attack speed, a 0.6 which they are tied with Priest and Mystic for. While they are rather squishy if caught, they have greater mobility than a Berserker. With self-buffs for run speed, coupled with a ranged sword strike; they are a worthy opponent for the Ranged DPS classes, in some cases considered the counter class for Archers and Sorcerers. Slayer’s damage out-put is slightly lower than that of a Berserker, but their faster attack speed, ranged attack, and movement speed buffs more than make up for it. While a great majority of Berserkers can be kited in circles, Slayers are extremely difficult to outrange, seeing as their ranged attack has a range of fourteen meters; this is only one meter less than the range of a Archer or Sorcerer’s base attacks, and four meters longer than the range of a Priest or Mystic. Slayers are said to be the closest to an Assassin or Rogue as you will get. Despite their lack of dual wield, their feel, damage, and the way they play are more similar to an Assassin than any other class. And now we move on to the Ranged DPS classes! Archers are what I like to call the snipers of TERA. Their play style is very reminiscent of snipers, seeing as in PvP and boss fights they tend to snipe the primary target with their charge up shots; Penetrating Arrow and Radiant Arrow. As is typical of Archer classes, Archers wield a bow, and wear light armor. But here is where Archers differ from the norm; they do not require ammo. Archers in TERA have unlimited ammunition, which is explained by the developers as the arrows technically being “magic”. Due to this, bows are classified as magical weapons when it comes to crafting. Archers have the highest damage rating, weapon damage rating, and range (fifteen meters), but have the second lowest HP pool of all eight classes. Despite their low HP pool, they are not quite as fragile as other ranged/support classes due to the fact they wear light armor, and not cloth. Their use of light armor, as well as their dodge skills increases their survivability greatly; but as always in TERA it is up to the player to make proper use of these defenses. It is worth mentioning that the 15 meter range applies only to their base attack (left click by default). Skills such as Penetrating Arrow have a range of 17-19 meters, and can have their range increased by Glyphs. At maximum, Penetrating Arrow’s range can be increased to roughly 21 meters with Glyphs. That being said, the farther away you are the less damage you deal. Archers are a single-target DPS class, although they do have a minor Lock-On AoE. In later levels they will have one or two more AoE options, but the majority of their skills are single-target. That being said, their initial charge up skill that they acquire (Penetrating Arrow) can damage multiple targets if they are bunched closely together or are stacked on top of each other. Thus the “Penetrating” in the skill name. Penetrating Arrow is the first of two charge up skills that Archer gets, the second being Radiant Arrow, which is nearly identical but is purely single-target unlike its predecessor. Due to being purely single-target, Radiant Arrow is capable of putting out even more damage than Penetrating Arrow, but its range is slightly shorter as well to compensate. As in other MMO’s, Archers in TERA have a variety of Traps. Originally, there were four different trap skills available to Archer. However, with the incredible strength of Poison Arrow on their side already, Archer’s poison trap was removed. The first trap an Archer gets is called Cobweb Trap. As you might imagine, this trap is an AoE snare. The second trap that an Archer acquires is called Incendiary Trap. This trap is pretty simple; it does AoE damage, and that’s about it. Our third and last trap, is Concussion Trap; quite possibly my favorite. Concussion Trap is an AoE stun, and with the use of glyphs, the duration of the stun can be increased by 40%. Archers are a very mobile class due to their ranged nature. Albeit squishy, their ability to kite, dodge, and their high DPS makes them a force to be reckoned with on the battlefield. An Archer’s role both in PvE and PvP are to focus the main target; generally whatever the tank is occupying. Due to their single-target nature, they are very useful for quickly blowing up a single target. Coupled with their debuff (Mark of Velik) which causes the Archer to deal 10% more damage to the marked target, and Sniper’s Eye which increases strength by 50, and adds an additional 25% damage in PvP (though decreases attack speed by 30%) they can increase their damage against the main target by a significant amount. If there is a Lancer in the Archer’s group, the Lancer can use one of his skills to further decrease the target’s defense. This lethal combination can result in the Archer critical hitting PvP targets for all of their HP. Warrior also has a similar skill known as Combative Strike, which is acquired at LV6. And of course with Close Quarters (melee-range AoE stun), Backstep (dodge), and Breakaway Bolt (dodge with damage), Archers have a wonderful slew of abilities they can use to outrange or escape their foes. Sorcerer is the AoE Ranged DPS class of TERA. Although they do have a wide variety of single-target spells, many of their skills are AoE or splash damage, and as such their damage and weapon damage ratings are slightly lower. In fact, a Sorcerer’s base damage rating is only fourth highest (behind Archer, Berserker, and Slayer in that order), and their weapon damage is higher only than a Warrior and a Lancer. Their range however, is fifteen meters. Sorcerers, surprisingly, have a higher HP pool than Archers, but this is countered by the fact they wear cloth armor. Sorcerers are incredibly squishy, making it imperative that they dodge, outrange, and when necessary; run away. This class is extremely kite-based, and as such they have not only a snare available to them, but also an AoE sleep. This sleep is easy to dodge however, but can be extremely useful in team fights. 1v1 the AoE isn’t as useful, though some people are stupid and can’t dodge. Despite the fire and ice elements shown in Sorcerer skills, there once again is only one type of damage: Damage. Because of this, there is no need to match certain elements vs. certain enemies. While you would think using a skill like Fireblast against a lava monster would be a bad idea… there is no penalty for using such skills against monsters. There are no elemental attacks or resistances! Sorcerers start off fairly weak in PvP at the lower levels, but as they get higher in level they become more and more dangerous. Sorcerer only has one truly offensive charge up skill, which is known as Arcane Pulse (formerly named Blastball). While this skill can do a great amount of damage, it is very slow moving and easy to dodge. Because of how easy it is to dodge, it is usually released early in order to catch enemy targets by surprised; still doing a decent amount of damage when released early. Especially since this skill will hit all targets within a twenty-one meter line. Sorcerer has of course Backstep, as do all classes, but they also have a skill known as Glacial Retreat. Glacial Retreat is similar to an Archer’s Breakaway Bolt, but on top of doing damage, it has a 70% AoE snare as an added effect. This helps greatly with outranging both melee classes and other ranged classes on the battlefield. Sorcerer also has two traps at its disposal; Painful Trap, which simply does damage, and Lightning Trap, which is an AoE Paralyze. Last but not least, the Support classes. Priest is the main healer in TERA. They have the lowest HP pool, lowest damage (tied with Mystic), lowest Critical Hit (tied with Mystic), lowest weapon damage (also tied with Mystic), wield Staffs, and wear cloth armor. Their squishiness of course is offset by the fact they can heal themselves (and of course, others). Surprisingly, Priests are capable of DPSing as well as healing, although it is advised that unless you are a very skilled Priest you only stick to healing. Priests also have an ability which I personally find pretty broken; Ishara’s Lullaby. Ishara’s Lullaby, quite simply, is a Lock-On sleep. With a cooldown of only thirty-five seconds, this is more than enough time for Priest to use it in order to interrupt an enemy’s charge up skill, heal themselves, then begin damaging their enemy again. Priest DPS is a combination of ranged (ten meter) and melee-range skills. Priest has six different heals currently at its disposal. However, only one of these skills is a self-heal. All other heals (except for HoT’s) do not affect the caster. Priest’s self-heal, which is the first heal they acquire, is called Heal Thyself. From here, you get Sanctuary of Regeneration, which creates a circle on the ground in front of you that regenerates the HP of your allies who are on or in the circle. After this, they acquire Focus Heal, which is a lock-on heal for up to two targets (and you cannot lock-on to yourself). And then, you get Regeneration Circle, which also (obviously) creates a circle on the ground; this one however is a HoT. After this comes Healing Circle, which is a small circle on the ground before you, but is a massive heal for those you manage to hit with it; although it is perilous to use it, so you must time it correctly. And finally, there is Blessing of Balder, which is another (weaker) HoT. Also in Priest’s arsenal of group-friendly skills, are a group summon skill, and a teleport that takes yourself and your group members to the nearest Campfire. As well as these useful teleports, Priest has a non-combat movement speed buff, a strength buff, an endurance (defense) buff, and a buff that increases resistances to harmful effects for your whole group! And of course there is Resurrect, a damage-absorbing shield, and a skill to make knocked-down group members rise to their feet again. As I said at the beginning of this extremely long article, Priests do not have Backstep. This was replaced by their self-heal. That being said, Priests do have an escape known as Fiery Escape. This is very similar to Sorcerer’s Glacial Retreat; right down to the 70% snare. A skilled Priest can keep their entire group alive and maintain a good amount of DPS in PvE scenarios. This does of course also rely on your team’s ability to dodge and stay out of AoE skills. If your team is dumb and gets hit by every skill the mob uses, you may want to consider yelling at them or sticking to just healing. Mystics are a strange support class; sporting pets, debuffs, heals, and buffs. I consider them to be a sort of hybrid, although in Korean release they have managed to often take the role of main healer in some groups. This is strange seeing as they only have two or three skills that heal. Mystics use Wands, and wear cloth armor. They have the lowest HP pool, lowest damage (tied with Priest), lowest Critical Hit (tied with Priest), lowest weapon damage (also tied with Priest). Their squishiness of course is offset by the fact they can heal themselves, and their teleport skill. Mystics are a strange class, in a way they are a jack of all trades, but for the most part their skills are unique to themselves. Mystics have four different pets, known as Thralls. The first Thrall they acquire is the Thrall of Protection, which is a tank pet. The cooldown on the Thrall of Protection is ten minutes, and it lasts for ten minutes unless of course it dies. The Thrall of Protection generates quite a bit of threat, and can knock down the enemy it is fighting. The second is Thrall of Vengeance. This spirit of Lightning is a moderate DPS thrall, with a twenty-two second cooldown. After this, comes the Thrall of Life. This cute little fairy has the same skills as a Priest as far as heals go; including AoE Heal and AoE Dispel. Meaning, this little fairy can not only heal you, but can also heal your team mates. That being said, it only stays for twelve seconds, and is on a thirty-five second cooldown. Lastly, is Thrall of Obliteration. This thrall will attack once and disappear, which may seem odd for its ten minute cooldown, but one would assume it does a good amount of damage. Besides the lovely Thralls, another thing Mystics love about themselves (and everyone else hates), is their escape technique; Teleport Jaunt. This skill has a ten second cooldown, and teleports the Mystic fourteen meters away in the camera direction. Already an annoying skill, Mystics can acquire a Glyph which has a 25% chance to reset the cooldown on Teleport Jaunt after being used. Personally, when fighting a Mystic; the Mystic’s cooldown reset three times in a row and it is next to impossible to guess which direction they are teleporting in. Also at the disposal of a Mystic, are snares, poisons, debuffs, buffs, Summon Group, Resurrect, and the ability to bestow Vow of Rebirth on allies; which means once the ally dies, they can resurrect automatically. I spoke a little of one of Mystics “heals”; Thrall of Life. Another option they have for healing is acquired at LV1, and is called Arun’s Vitae. Tis skill is on a 5 second cooldown, and they simply drop red orbs on the ground which allies can pick up to heal themselves. In later levels, they also acquire Arun’s Tear, which is the same concept; except is blue and restores mana. Races are the next thing that I’ll discuss with you. There are seven races in TERA, each race/gender combination has its own differenthitbox size. Each race in TERA has its own set of Racial Skills; except for Elin and Popori, who share the same set of Racials due to originally being one race, before some minor changes were made in late 2010. The first difference in race I shall discuss with you is Racial Skills. I will cover hitboxes later, separated into the categories of Male and Female, since generally people have it set in their mind they want to play either male or female, regardless of which race they choose. Let’s go alphabetically, shall we? Last Aman Standing (active) – Your resistance to being knocked down or paralyzed increases by 70% for 30 seconds. Cooldown: 60 minutes. No Stranger to Pain (Passive) – Decreases damage taken by 10% when your HP is below 30%. Blood of Dragons (Passive) – Increases resistance to the effects that do Damage Over Time by 10. Prospector (Passive) – Increases the speed of gathering minerals. Ancient Wellspring (Active) – Instantly restores all your HP using the magic of a bygone era. Cooldown 2 hours. Resistance to Fatigue (Passive) – Your stamina cannot drop below 20%. Gather No Moss (Passive) – Increases resistance to restraint and movement debuffs by 10. Time-Lost Techniques (Passive) – Increases the speed of crafting magical weapons by 10%. “Castanics inspire more conflicting emotions than any other race in the world of TERA. Clever and skilled, Castanics are also opportunistic and hot-tempered. A Castanic never forgets a friend and never abandons an ally. They’re also notoriously quick-tempered and have a tendency to decapitate first and accept apologies second. Skirmish Running (Active) – Your speed increases by 35 for 3 minutes, but your resistance to stun is reduced by 20%. The effect ends if you stunned. Skill may be used during combat. Cooldown 30 minutes. Dirty Fighting (Passive) – Increases the critical value by 1% when attacking from behind. Weaponforger (Passive) – Increases the speed of crafting with metal weapons in 10%. Landing Light (Passive) – Decreases falling damage by 50%. Soothing Presence (Active) – Monsters do not make pre-emptive strikes, but your movement speed is reduced by 40% for 1 minute. The effect disappears immediately when you use a skill or item , or if you enter combat. Cooldown 60 minutes. Horizon Run (Active) – Your speed increases by 20 for 3 minutes. Cannot be used in combat. Cooldown 30 minutes. Botanist (Passive) – Increases the speed of plant collection. Current Friendly (Passive) – Your swim speed is increased by 50%. “The elves once lived lives dedicated to venerating nature and the gods. The “Children of Karas” maintained their forest homes in peace, but that changed when the conflicts of immortals destroyed their civilization and split a proud and powerful race into two factions. Now, only the “High Elves” remain. After three thousand years of war, they withdrew from the world after a devastating loss against a force of allied races. This century of seclusion ended when the gates of Allemantheia opened to refugees fleeing the argon invasion, and the world took notice when the gates stayed open and produced an army to fight for the lives of all mortal races. Core Infusion (Active) – instantly completely restores MP through the power of the Core . Cooldown 2 hours. Call of the Core (Active) – You teleport to Allemantheia. Cooldown 1 hour. Resilience of Mind (Passive) – When resurrected provides a MP regeneration buff. Coalescence (Passive) – Increases the speed of collecting essences by 15%. Deft Footwork (Active) – For 3 minutes, dramatically decrease the likelihood of being knocked down or paralyzed by another player by 50%. Cooldown 60 minutes. Indomitable Spirit (Passive) – When your HP is less than 30% receive 10% less damage from other players. Resilience of Body (Passive) – You heal continuously after resurrection. Nomadic Crafter (Passive) – Increases the speed of crafting light armor by 10%. And yes, there is more to consider when thinking about what race you want to roll. Each race and gender combination in TERA has its own specific hitbox. Hitboxes determine not only how easy you are to hit, but also how easy you are to heal. Both enemies and allies are effected by the size of your hitbox! Some races are better suited for certain classes due to this, such as wanting to have a larger hitbox as a Lancer, so that you can Shield Block corridors, and hide your allies behind you while you absorb 100% of the damage thrown your way. Other classes are better suited to be small; such as Priests, Archers, and so on. There is as such a thing as too small or too large in TERA, but for most people race choice is based purely on aesthetics. For those far and few between who care about things such as hit box, I will provide you information on the hitbox sizes in TERA. The general rule of thumb in TERA is that the taller the character, the larger the hitbox. In the case of Castanics, you can ignore their horns here as that is not a factor in their height; same for the ears of Elin. Although I am not 100% sure which has the bigger hitbox than the other; Popori or Elin. They are very close in size, but generally the males of each set have the larger hitbox. In the case of Popori and Elin I am not sure, but do know they are the shortest of all the races. Here you can see every race and its height, all in a straight line, side-by-side. From left to right; Aman Male, Aman Female, Baraka, Castanic Female, Castanic Male, High Elf Female, High Elf Male, Human Female, Human Male, Popori, Elin. As you can see, Baraka are the tallest, followed closely by Aman Males and then Aman Females. The shortest are obviously Popori and Elin, Castanic Females following closely after that. Now, let us dissect the hitbox differences further, classified by gender. The tallest of females are clearly Aman. The large hitbox of Aman females makes them ideal Lancers, although you will see the occasional Slayer, Berserker, and even Priest or Sorcerer in some cases. People have begun to shy away from large hitboxes when playing squishy characters, but some people love the look of their favorite race too much to care; which means they must learn even more how to out-play their opponents, due to being so easy to hit right off the bat. The second tallest females are the High Elves, followed closely by Human Females. Although I have seen a few female Lancers of either race, the majority seem to role Slayer, Berserker, Sorcerer, or Mystic. This is partially due to racial skills, and partially to do with hitbox size. Having a roughly medium size hitbox allows High Elf and Human females to be much easier to target by their group’s Priest, which is a plus for obvious reasons. The second shortest females are Castanics. They are surprisingly small, and with the common class choices of Warrior, Sorcerer, and Archer they tend to be very slippery little devils; unfortunately sometimes for their own team. Castanic Females can be difficult to heal, especially since the common class choices are constantly moving (or at least should be). Because of this, I recommend that if you play a female Castanic, you should try to be very aware of when your neighborhood Priest is casting his or her heal circles, so that you can maneuver yourself into the circle. Smallest of the small, are the Elin. Elin hitboxes were adjusted at one point due to Lancers being a popular class choice in Korea…and Priests not being able to heal them because of their size. Lock-on heals would end up going to another nearby ally instead of the Elin, because they were so small and other moving group members made it difficult to target the poor little Elin. Despite their hitbox being adjusted, Elin are still the smallest of the females. Elin are so popular however, that you will pretty much see Elin of any and every class running around, despite their small stature and sub-par racial abilities. So, as with Castanic females, I highly recommend map awareness so that you can maneuver yourself into your Priest’s heals. Baraka (although not technically any gender), are the tallest of the tall here in the world of TERA. Despite their large size, the majority of Baraka appear to choose Priest as their class, instead of Lancer or even a DPS class. The enormous size of a Baraka could make them ideal Lancers, able to take hits for their team mates easily. However their racial skills may not be the best choice for a Lancer. On the plus side, they are easier to heal… especially if the Baraka himself is the Priest! The second tallest males are the Aman, who quite typically are Lancer, Berserker, or Slayer. Their large stature makes them suitable for Shield Blocking corridors as a Lancer, or even blocking as a Berserker, although not quite as effective. Due to their large size, Aman males are both easier to attack and easier to heal. The next two I am not completely sure as to which has the larger hitbox; High Elf or Human Male. Human males are bulkier, but High Elf males are taller. This could be a case where bulk indicates a larger hitbox, but as I said I am not 100% sure on this pair. While the majority of Human Males I have seen are Lancers, Slayers, Berserkers, and the occasional squishy… The majority of High Elf males I have seen are Priest, Mystic, Archer, and Warrior, along with several other squishy DPS classes. I think it is safe to assume that High Elf male Archers have Legolas syndrome, but at least High Elf is a decent choice. High Elf and Human males (as with the females) are medium-range hitboxes, and are well-suited for most if not all of the classes in TERA. Their medium range hitbox makes them slightly less easy to hit, but also means they are still easy to heal. Slightly shorter than the Human males, are the Castanic males! Obviously this is not counting the horns. Castanic males appear to pretty popular (hmm, I wonder why *sarcasm*), and as such there is a decent distribution of classes amongst the existing Castanic males. Some of the more common classes are the Melee and Ranged DPS classes, however. Castanic Male Lancers, in most cases,cannot Shield Block a corridor on their own. That being said, their racial skills are quite nice no matter which class it is you choose. Despite being shorter than a Human male, I still consider their hitbox size to be medium range. They are not that hard to heal at all. And of course, coming in as the shortest of the males; the cute and cuddly Popori. Who doesn’t love pandas, after all? As with the Elin, Popori are rather popular, so there are Popori of many classes running around. But, also as with Elin, they are more difficult to heal due to their smaller size. So, map and heal circle awareness is once again a crucial skill if you decide to play this race.